Par les Pores (Through the Pores) is an encounter on the skin's geography and sensations that pass through movement and voice. A poetic topology of the body. The skin is a porous surface where multiple correspondences are ruling between the inside and the outside. Sofie Dubs and Julie Azoulay explore the perceptions of this place through a dialogue between the dance and the voice, placing us into the anxiety and the happiness to inhabit this body. The purpose of Par les Pores is to explore the skin as a living organ and as a border place. The inter relationship with the places is central to this work: The performance adapts to the event and the space where it is located. It is a mean to meet natural outdoors places as well as all kinds of public places such as the street, the Municipal pool, the butchery, the cafe. It can also be itinerant. 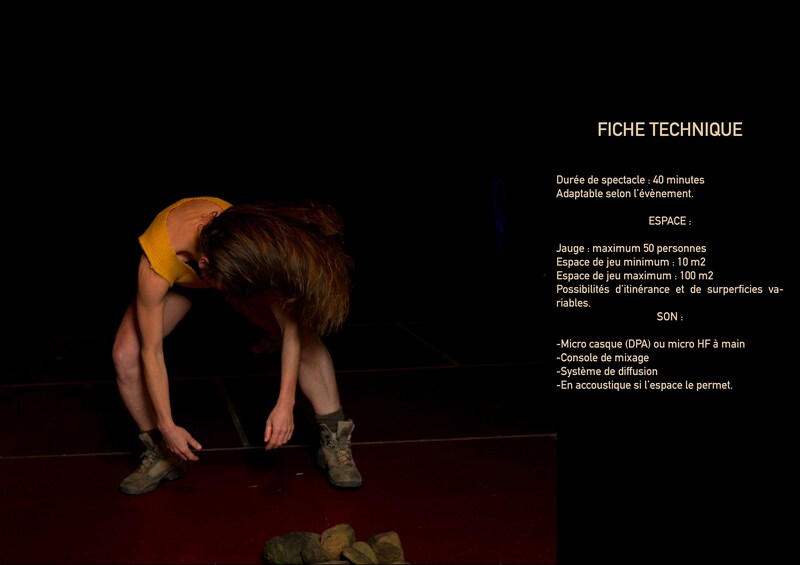 Par les Pores is the fruit of three years of interdisciplinary research and improvisations around the skin. It is declined in situ. A few days of immersion in each performance place Are therefore necessary upstream of each public restitution.